Mark Tawahongva, a member of the Hopi tribe, Rabbit and Tobacco clan, was born in 1948 at Hotevilla. 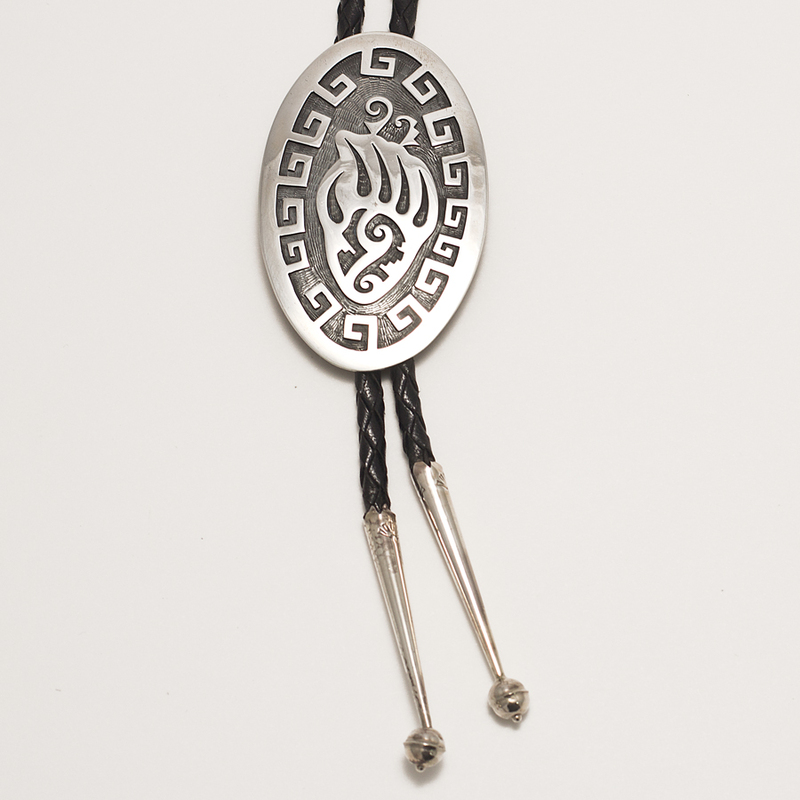 He uses traditional Hopi motifs such as the bear paw featured on this sterling overlay bolo tie surrounded by a life cycle geometric border. Hallmark: “M” and “T” of his initials intersecting, a rabbit head profile stamp, and Sterling. We offer complimentary gift wrap! Just ask! 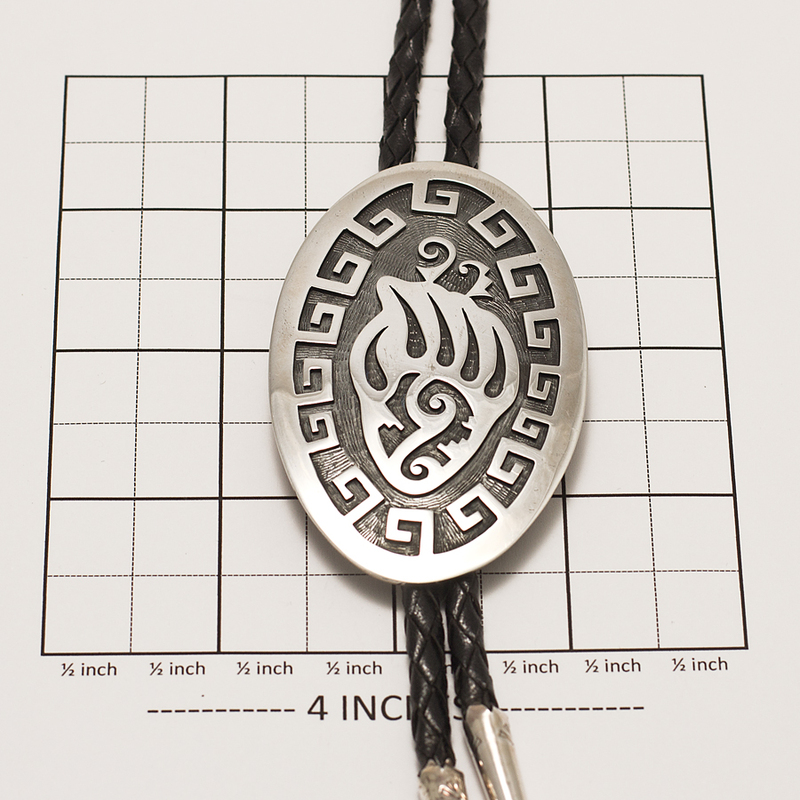 Mark Tawahongva Bear Paw Bolo Tie showcases shining Sterling Silver. Handmade by a skilled Native American Silversmith of the Hopi tribe.